Gregory D. Ware was born in East Texas in a small town name Carthage Texas. He was educated in the Carthage School District. He attended college at East Texas State University presently known as Texas A & M at Commerce Texas. His studies included Psychology and Clinical Psychology. Aside from his professional career which is very extensive through out the city and State of Texas, he was called to the ministry in 1982 under the Pastorate of the late C.H. Gerald. 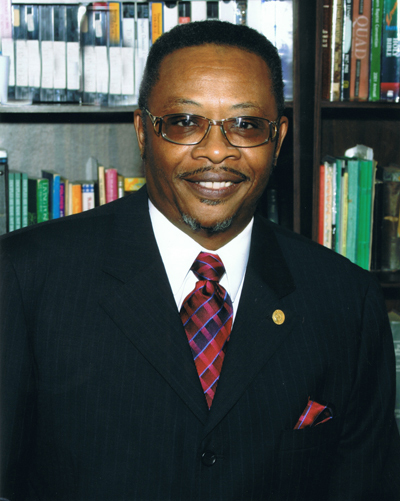 He served as assistant to the Pastor for 11 years until 1993 when he was called to Pastor the Barnabas Baptist Church. G.D. Ware is an activist for the people of the community. He constantly seeks out means and ways to improvement the lives of the less fortunate. He has established an Annual Community Picnic at the Fruitdale Recreation Center sponsored by the church. This partnership has proven to be very beneficial in the community. Information, food, entertainment, games, activities, vendors and health screenings make up this event. Over 400 participants take part in this annual activity. Barnabas Community Institute (BCI) a non-profit organization is also a vision for the community. The vision includes building a campus in the heart of the community that will address every aspect of man through education, empowerment and structure. With grants and donations, he plans to open a full size gym that will accommodate events and activities for youth and others. Revitalization is also a part of the dream by taking vacant dwelling and lots and turning them into affordable housing in an effort to beautify the area. Too long have we just preached to people and not equipped them with tools to secure an enriched way of life. G.D. Ware expects to do just that. Two of his favorite sayings’ are, “progress is easier to measure if you keep it simple” and “what you are doing is so loud, I can’t hear what you are saying”. Greetings in the name of my Lord and Savior Jesus Christ! BIessed be the name of the Lord. Welcome to Barnabas. We are the Church of Encouragement, because we have encouraged ourselves and others over the years. When it seemed like it couldn’t work, it did work, so be encouraged my friends. God is with us! We can be confident in this thing. God is in control and has our best interest in mind. Through praise, worship, and the study of God’s word, we will see that expected end. God’s promises are true. We have seen how God doesn’t count numbers, but makes numbers count. Praise the Lord! Stay faithful and steadfast. 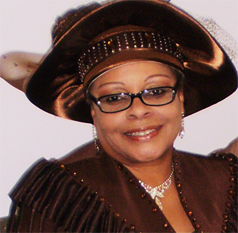 I thank God for Barnabas and her members and the man of God, my husband, my friend, my pastor, G.D. Ware whom I love dearly. God has not brought us this far to leave us. To all our family, friends, sisters and brothers in Christ, thank you for your support, prayers, and love throughout the years. May God Bless You and Keep You is My Prayer.